Develop and deliver tailor-made training programmes to complement expertise and professional skills in key areas of business etiquette, image, customer relations and cross-cultural awareness. The training programmes are customized to fulfill the requirements of the company and match the level of the participants. The methodology is interactive with demonstrations and practical sessions. The modules can be delivered at lesser or greater depth depending on the needs of the client. 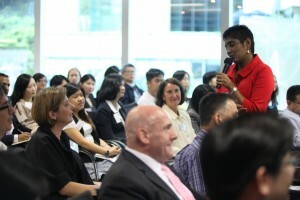 Participants in the training programme range from front office personnel to senior executives. The programme is modular in nature and the company can build upon it to form a comprehensive training programme over a period of time, incorporating further competencies and knowledge-based subjects. With the registered office in Hong Kong, the training programmes are organised in the clients’ chosen location in any part of the world, and can be held on the clients’ office premises or independent venues. Competent, confident, well-groomed, culturally sensitive, service-oriented and ethically aware professionals who are effective in the global environment.